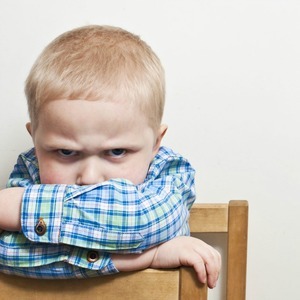 Manners seem to be highly neglected in today’s modern child-rearing philosophies. Good manners not only teach us how to be compassionate and kind to the people around us, they also give us the social confidence to know how to behave in different situations and settings. A child who has good manners will be welcomed by the people around him, able to make friends, and appreciated by his elders. 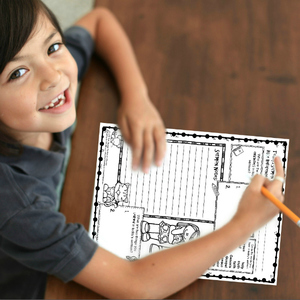 Are you raising money smart kids? 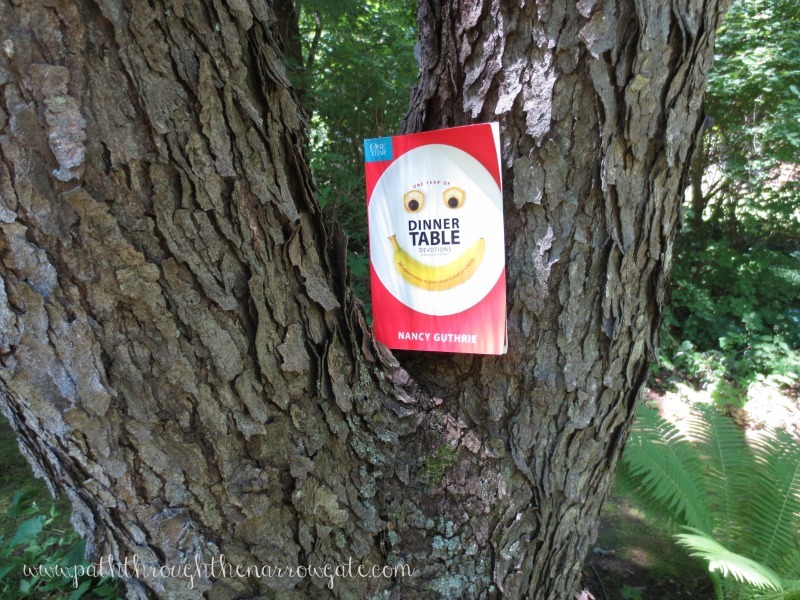 It is so important that we teach our kids how to manage money. This is an area that many parents feel incompetent in, and are therefore hesitant to approach with their kids. Unfortunately, no matter whether you have your kids in private, public, or home school, this is a topic that is probably not being covered in school. Therefore, it’s up to you to teach this vital life skill to your kids. 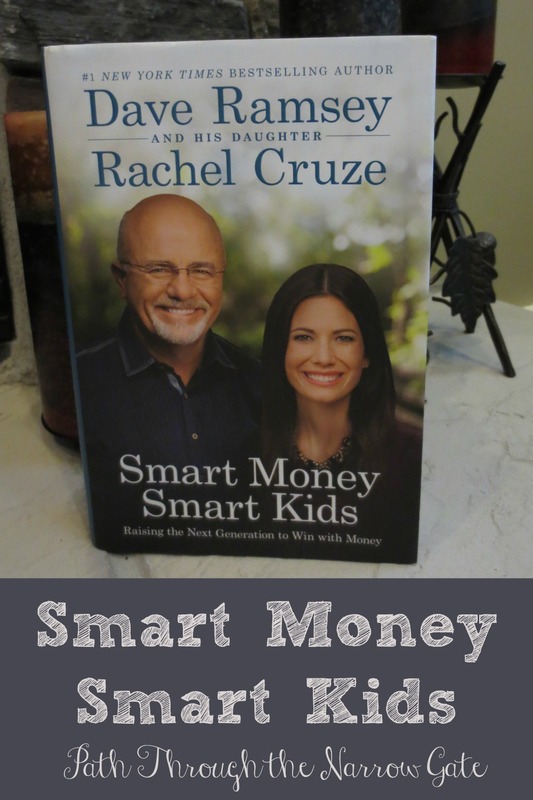 Dave Ramsey and Rachel Cruze have written an excellent resource, Smart Money, Smart Kids: Raising the Next Generation to Win with Money, to help us know how give our kids the financial training that will prepare them for real life. Do you ever wonder who didn’t hang up their towel? 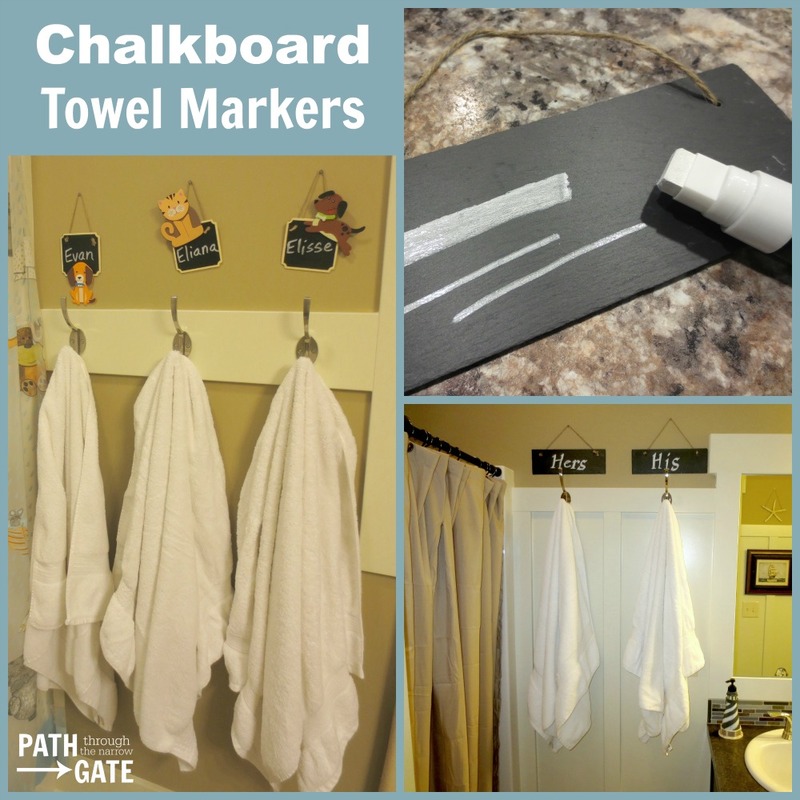 These chalkboard towel markers are a simple way to keep track of whose towel is whose. Yep, I’m still stuck on the goldfish crackers. 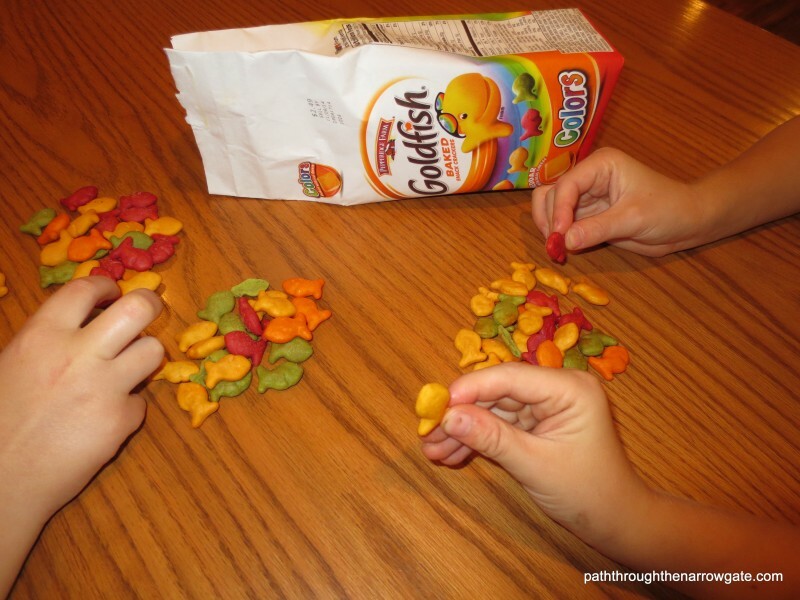 In my last post, I talked about the fact that I have kids counting each others’ goldfish crackers. And while I might try to tell you that this is a wonderful way to teach math, or a great rainy day occupation, I am afraid that the goldfish cracker counting is the result of a sickness of the heart. They are busy counting each other’s goldfish crackers to make sure that the piles were distributed equally and that life is fair. If the piles are not completely equal, they will be quick to let me know. How should I respond to this demand for fairness? 1. Am I teaching my kids to differentiate between perceived injustice and actual injustice? My kids may be complaining of “perceived” injustices that aren’t even real injustices at all. (I am thinking of the Cosby Show episode where Rudy is sure that her teacher hates her because of many perceived injustices including the fact that the teacher hung Rudy’s artwork at the bottom of the board. Bill Cosby (Rudy’s father) goes in for a parent/teacher conference. While the teacher is out of the room, Bill compares Rudy’s artwork with the other students’ artwork, declares that Rudy’s is the best, and moves Rudy’s artwork to the top of the board – its rightful place. The teacher walks back into the room, immediately notices that Bill has moved Rudy’s picture to the top, and then explains ho w she hung the artwork not according to ability but according to alphabetical order and had started with “Z” at the top just to mix things up a bit.) As a parent, I need to determine whether there is an actual injustice or a perceived injustice, and if the injustice is only perceived, walk my kids through how their perceptions are wrong. I am doing my kids no favors by jumping onto their little band wagons of perceived injustice. 2. 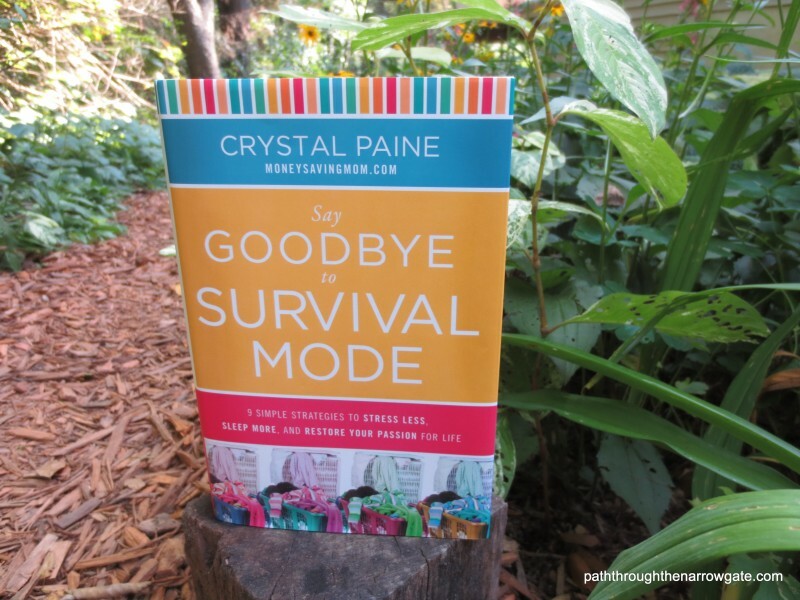 Am I too quick to eliminate actual injustice from my kids’ lives? 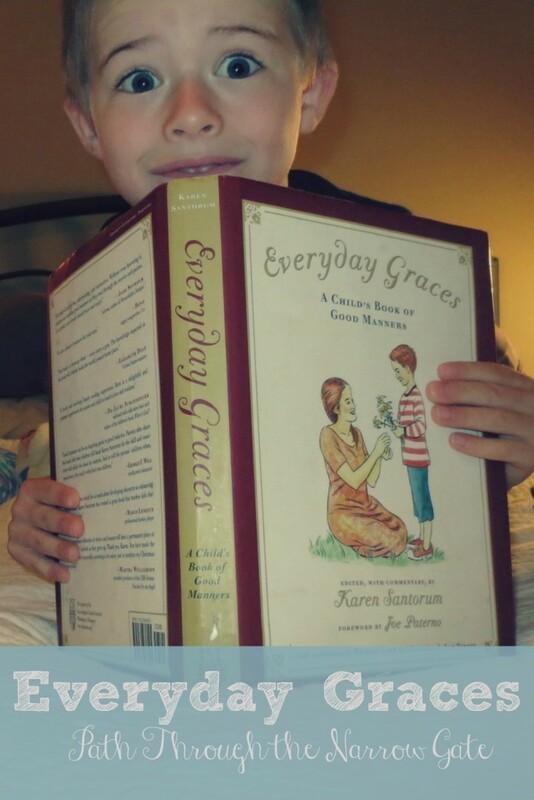 God may very well be putting an “unfair” situation in my child’s life to teach him more about God Himself. Too often, though, my tendency is to thwart God’s lesson for my child by rushing in to correct the injustice. Is my child being unfairly treated by a teacher or a coach? Instead of duking it out with the coach or teacher, maybe I should be teaching my kid about Jesus Christ who was unfairly treated by the religious and civil leaders of His time. Did the library run out of summer reading awards and my child did not get one even though she completed the reading program? Perhaps, instead of rushing out to buy her a gift to make up for it, I could talk to her about how she can receive an award that she does not deserve and that cannot be taken away from her because of what Jesus did for her on the cross. 3. 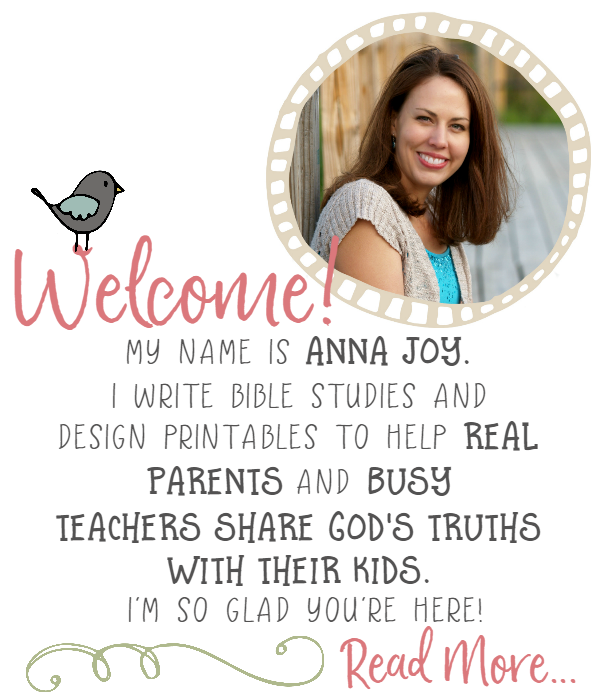 Am I redirecting my kids’ (and my own) comparisons? When my kids are comparing themselves to someone who has more, perhaps I could encourage them to compare themselves with someone who has less. We always compare ourselves to others only in the aspects that we want. We envy him having that toy, but do we envy him having a little sister who is sick all the time? We envy her house, but do we envy her having a husband who is constantly traveling? We envy him his success in ministry, but do we envy him his past struggles with his rebellious son? We envy her fast metabolism, but do we envy her migraines? Would we really want to trade lives with that person, or do we just want that one little “good” aspect of their life? 4. Am I exercising generosity and grace towards others? When I am envying her house, perhaps taking a meal to a local homeless shelter might reset my thoughts a bit. When my kids are complaining about someone else having more toys or electronics, perhaps some time flipping through a Compassion Magazine will help to adjust the attitude. Even better yet, maybe we could work as a family to make some extra money and then donate it to buy a water filtration system for an impoverished family in Uganda. Somehow that fancier house, that newer electronic, or that perfect body shape doesn’t seem so important when we realize that some people don’t even have access to clean water. 5. 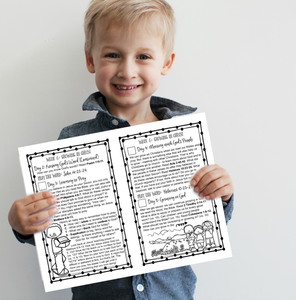 Am I ultimately pointing my kids to Jesus? Am I telling them the most unfair story of the ages – how the only perfect man to ever live, the very Son of God who created the world and deserves all worship, honor, and glory suffered great injustice and hung on a shameful cross, rejected by men and forsaken by God, in our place so that we might be justified before a Holy God? Am I telling my kids that while I was lost in my sins, Jesus died in my place so that when God looks at me, He sees the righteousness of His beloved Son? Perhaps, instead of correcting the injustice, or telling my kids “Life isn’t fair, get over it”, perhaps I should be telling them this story. And, perhaps, it wouldn’t hurt if I preached it to myself once in a while, too. Have you struggled with this demand for “fairness” in your family? How have you approached this issue? I would love to hear your thoughts. Please comment below. 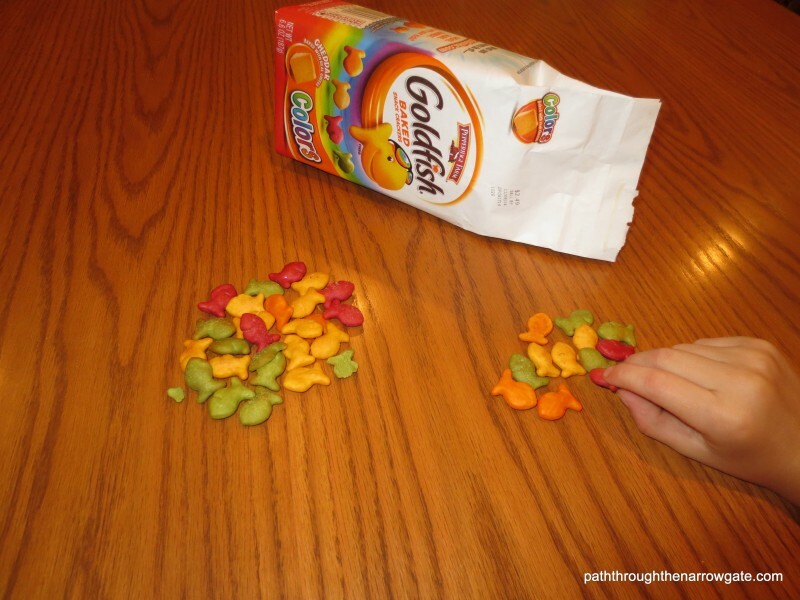 Goldfish Cracker Counting: Is Life Fair? I have kids counting each others’ goldfish crackers. 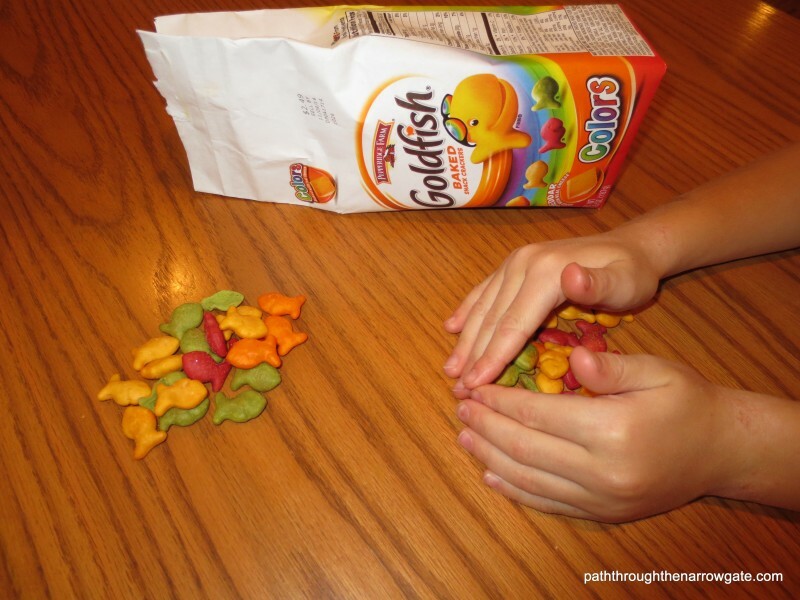 And while I might try to tell you that this is a wonderful way to teach math, or a great rainy day occupation, I am afraid that the goldfish cracker counting is the result of a sickness of the heart. They are busy counting each other’s goldfish crackers to make sure that the piles were distributed equally and that life is fair. If the piles are not completely equal, they will be quick to let me know. This sin sickness resides in my own heart, and it should not surprise me that it also resides in my children’s hearts. This is not just an American 21st century problem. At the beginning of time, Cain killed his brother Abel because he felt that it was “not fair” that God accepted Abel’s sacrifice and rejected Cain’s sacrifice (Gen. 4:1-16). God thought envy an important enough issue to forbid it in the Ten Commandments (Exodus 20:17). King Saul harbored a foolish, deadly hatred of David because he was jealous of David’s popularity (1 Samuel 18:7-9). 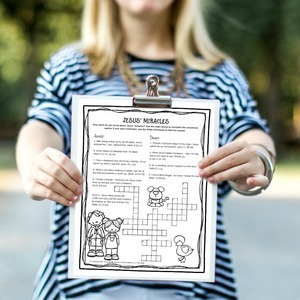 The elder son was so busy assessing whether all was “fair” between him and his prodigal brother, that he lost the blessing of a relationship with his father (Luke 15:11-31). Jesus Christ Himself was killed because of the envy of the religious leaders of His time (Matthew 27:15-18). 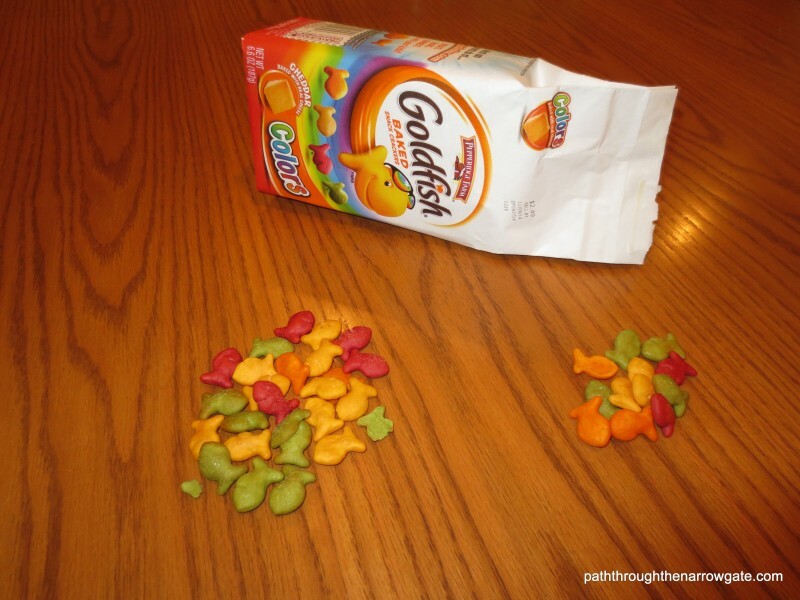 And, though murder is a far cry from counting goldfish, the heart attitude that causes my kids to count the goldfish will result in resentment, envy, covetousness, and a heart of anger and murder if left unchecked. Lest you think I am exaggerating, let me ask you: Has goldfish cracker counting ever resulted in peace and brotherly love in your house? Am I insisting that life be “fair”? Am I busy comparing myself to others around me to make sure that I am not being cheated out of something that somebody else is receiving? Am I spending time wishing I was thin like her, or comparing my business or ministry success to his? Do I feel that it is unfair that I have to struggle with this particular health problem while other people don’t? My kids pick up on my sinful attitudes by osmosis and may be mimicking me! As we travel down the road of unhealthy comparisons, we will start to accuse God of not being fair. And, truly, God is not fair! If we look at this from a sinful, human standpoint, we see lots of unfairness in God: She was born beautiful, I was not – Unfair! He has a magnetic personality and has quickly risen to be successful, while I labor away with little results – Unfair! Michigan is getting lots of rain and California is getting none – Unfair! 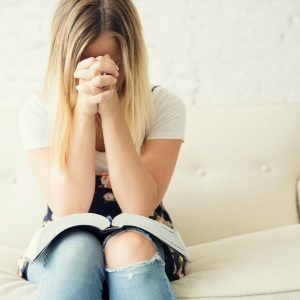 God allows some children to be born into extreme poverty or abusive homes while others get wonderful families and trips to Disneyland – Unfair! And why do these things seem so unfair to us? Because we are so sure that our hard work, lovely personalities, and righteousness make us deserve at least as much as our friends, neighbors, and acquaintances have. God owes it to us to give us good lives, doesn’t He? I asked my eight year old daughter why she would count the goldfish. She said that she wanted to make sure that I loved her as much as her siblings. 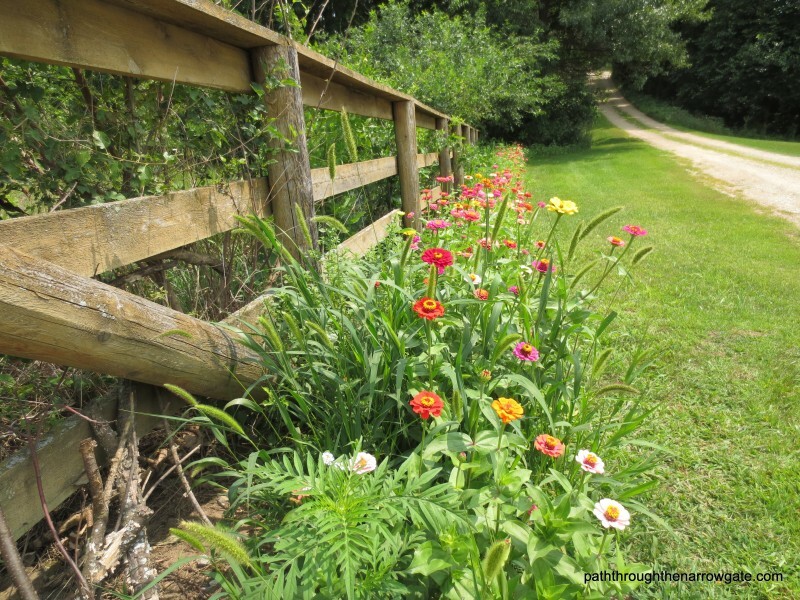 So, here is one last question: Am I measuring God’s love by what He has given me or withheld from me, comparing myself to others and what they have? This is an immature attitude. Throughout the Bible we see people who were faithful to God and loved by God, suffering through this life, far from having everything they wanted. God knows us better than we know ourselves. God knows what we need and don’t need and He is merciful and loving in not giving to us more than we can handle. I do not give my children all of the candy they can eat, even though they may want it and I may be able to afford it, because it would not be healthy for them. This “depriving” my children of their desires comes from my love and concern for my children. When God does not give us what we want, it does not mean that God loves us any less than someone else, even if God has given them what we desire. If we were wealthy, beautiful, had perfect families, excellent health, respect from all who knew us, and life was otherwise a breeze, would we really feel our need for a Savior? Would we turn to God and trust in Him? Or would we live our lives without God and then regret it for all eternity? How much better if unfulfilled desires in this life turns us to God for salvation! (Romans 8:18). And so, my friend, I am praying that God would give me the grace to stop counting the goldfish crackers and to trust that He is giving me what is best for me. For more on how God might use our weaknesses to bring us to Himself, see the post Accusations from the Bearded Dragon. 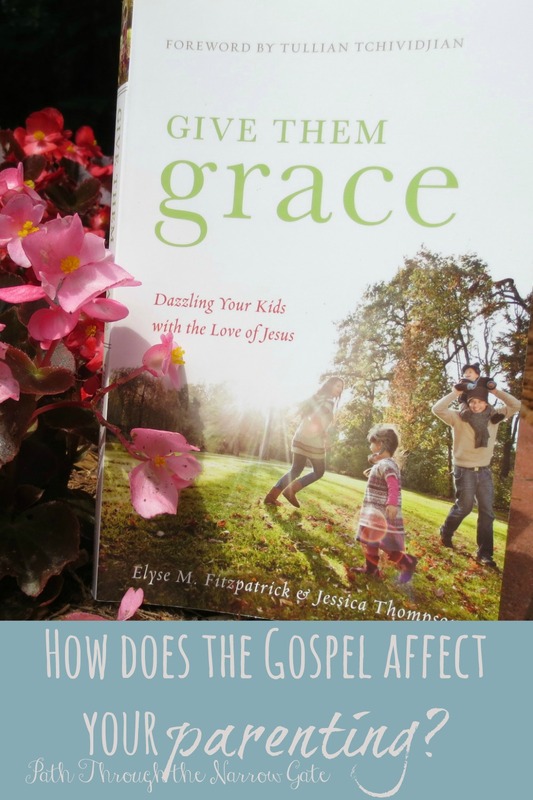 Do you need some grace in your parenting? Are you an exhausted parent? Proud of your children who obey so well? Despairing over a child who rejects everything you stand for?